Not quite a year ago I did some toy trading and brought home a NL320. The engine had a weak lower end but other than that the little pickup was a very complete and solid survivor. After a water pump, hoses, & belt change I enjoyed a once a week or so drive to work and short local buzzes and just a general 'get acquainted' period up to Thanksgiving a few weeks ago. 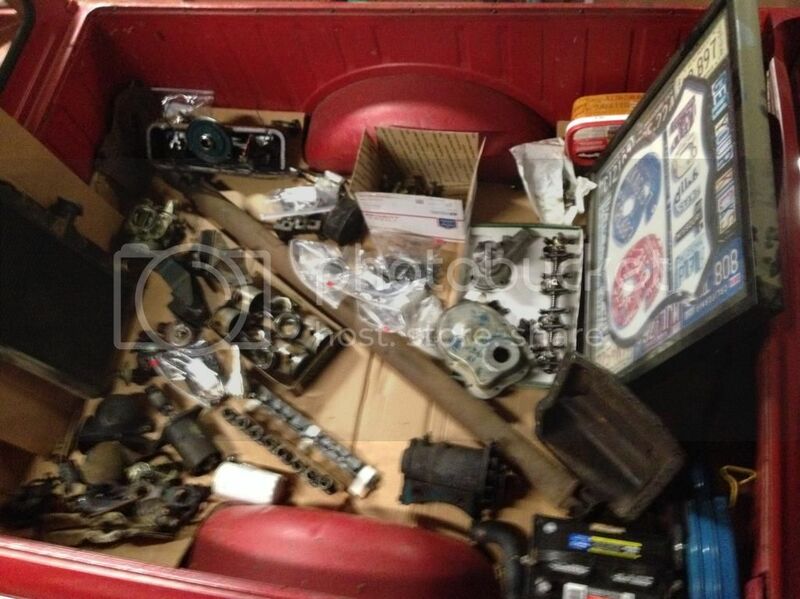 Over this nearly a year I've gathered the parts that I'd need to rebuild the engine. 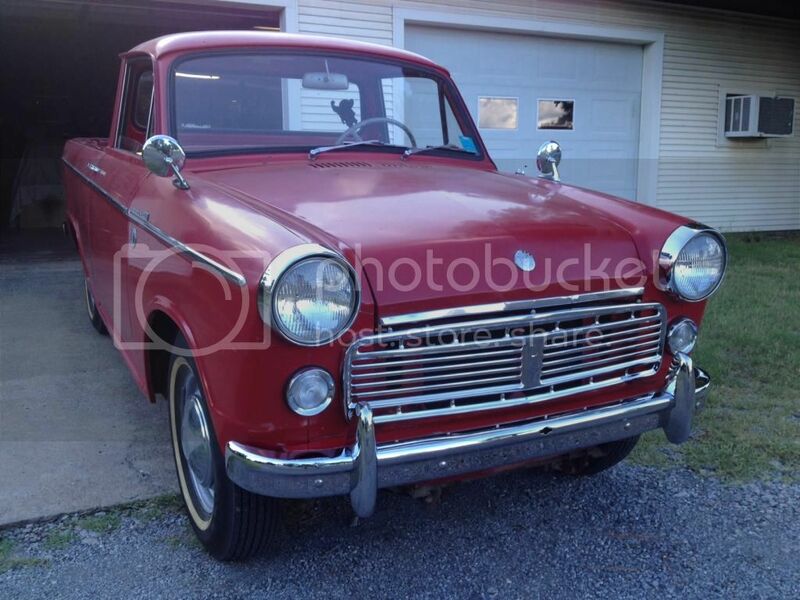 I've had the bumpers, headlight rings, and grille re-chromed. About a week before Thanksgiving I started unhooking all the connections to the engine/trany. A couple days before Thanksgiving, I bit-the-bullet and pulled the power unit. And started breaking her down. Building up momentum as the plot thickens. I took all the large pieces outside and 'Gunk Gelled' them, scraped and brushed for a bit, and gave them a ride to the car wash. 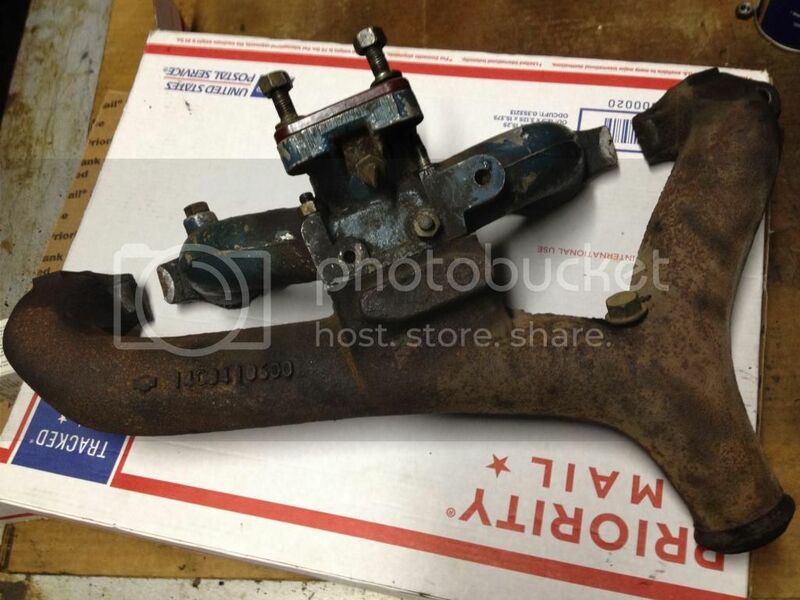 Here's the block, head, & manifolds hung loosely back together. I was pleased to find this much original paint on the block so I took the block to the parts store and had them spectragraph it and mix me a quart of paint a couple of shades lighter to allow for half a century of being cooked in oil & dirt. We'll get some Oics of the paint mix results later. I decided to remove the main oil galley plugs in the front and rear of the block to get a good boil-out when it gets vatted before machine work in a week or so. I snap-punched the plugs in the center, drilled them 5/16" and tapped 3/8-16 NC. They are bronze, so drilling and tapping are pretty easy. The larger plugs are 1/2" diameter and 7/16" or so long. Rounded up a 6" long or so piece of 3/8 all-thread, a milling machine hold-down clamp and couple of widgets to pull from and out the plugs came. There are two plugs in the front and two in the back of the block in the ends of the main oil galleys that run down both sides of the E1 block. Removing the plugs should get me a good clean out during the vatting of the block and head. This is the front of the block. I'll be adding more as the project progresses. Certainly is. I don't know much about the E? Well, this project has been educational and I anticipate well into the future. 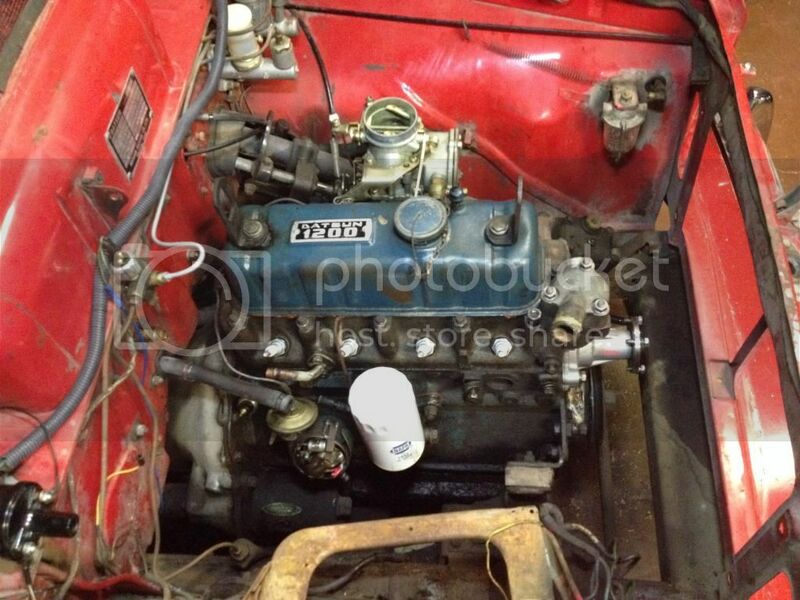 The E1 is the fraternal twin of the J13 and even a close cousin to the Austin/Morris BMC engines of the period. A good number of the parts will interchange. I have been micro-studying this beast since acquiring the NL. I've never been a 'pickup person' The last pickup that we had was a an 88 Chevy that we bought new. To me a pickup has always been a tool that I needed half a dozen times a year. That has changed for me since acquiring the 620 and then the NL. I stll don't like driving a pickup every day, but these rising sun truks can get me going. 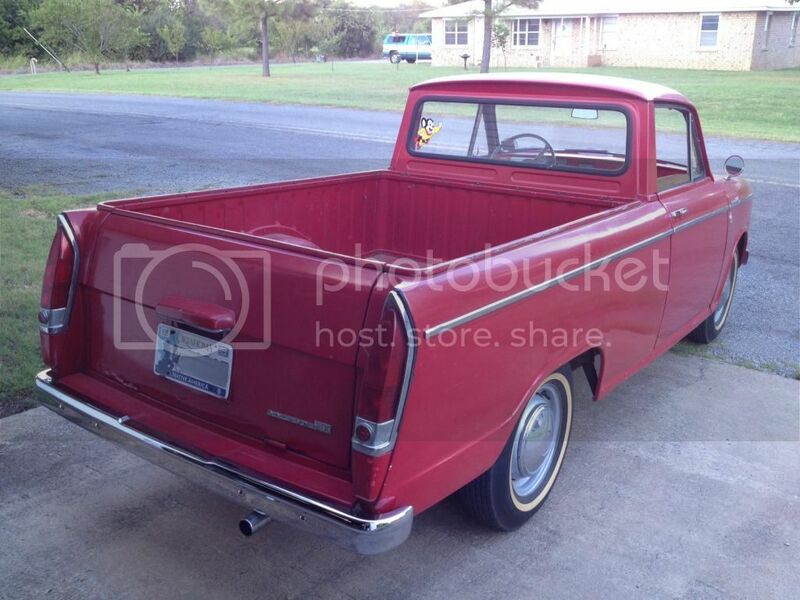 The only truk that I ever lusted after has been the 61-63 Ford Unibody. My dad had a straight short-bed and I let it get away years ago. I'll probably own one if i live long enough. I even have a big window top clip store, just-in-case. Short Ford Unibodies with big back window are the provebial 'Hen's Teeth'. Back to the Datsuns. When I acquired the 620 and discovered Ratsun I had seen photos of the 320 pickups over the years, but had no idea that the unibody NL existed. Gawd, what a culture shock to discover them here. Bloody had to have one. A year ago I found a new caretaker for our 58 Messwerschmitt which generated the funds to acquire a decent NL and made a space in the shop for a new project. I plan to keep adding to this build thread as it progresses through the stages that I see coming up. This morning I've ordered all the tools that I didn't have to replace all the hydraulic lines front-to-rear. 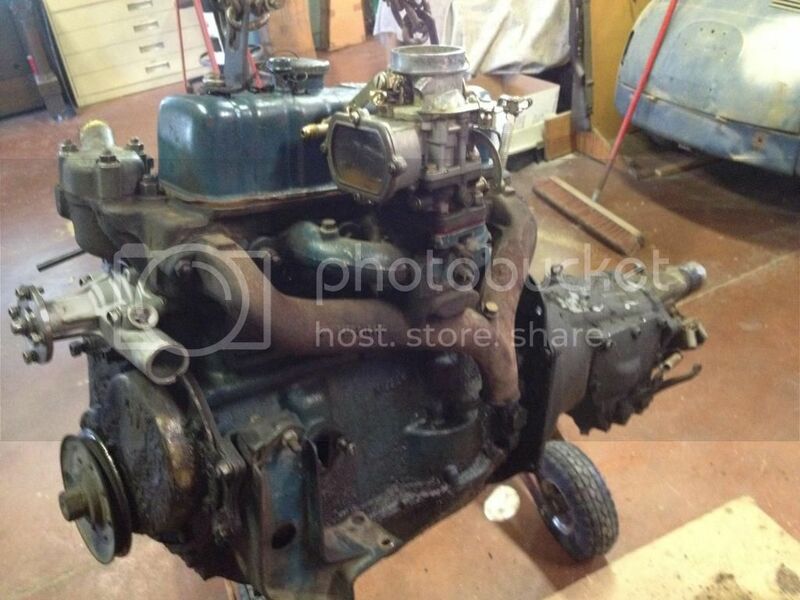 The engine room of the 320 will get a complete cleaning, paint touch-up, and re-plumb/re-wiring. 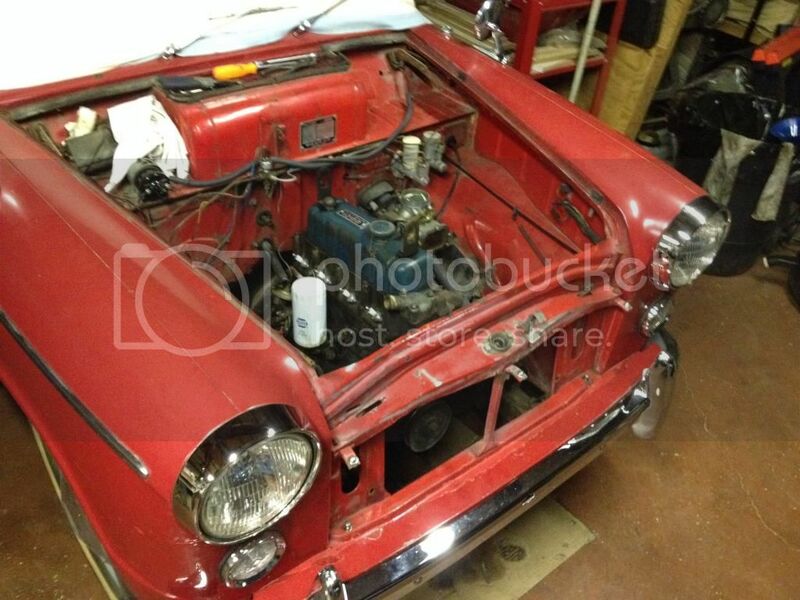 I'm not looking for a restored condition, just a nicely maintained with patina look. Photos coming. Many of the peripheral accessories on the E1 will be replaced with more modern goodies for driveability and ease of service. As much as possible will be compatible with the 78 Bulletside so I can have as many common spares as possible. Early-on I want to give credit to Ted, Zed, Abe, and all the other members who have assisted me to date with information and parts. Also Truckie up in eastern KS who is the British part interchange sleuth. I know, I know, I have a spell-check/proof-read problem. The mind gets to running faster than the fingers. I'll claim senior citizen immunity. Beautiful truck. Any upgrades planned or keeping it stock. Outward appearance will remain basically stockish. He's survived half a century with original engine & no chop-chop. Mostly upgrades for driving and servicing and nothing that can't be put back original fairly easily. I plan to retain all the original stuff that gets upgraded and package it as kind of a timecapsule that will stay with the NL. Considering front discs at present. Also 79 620 rear gears are almost a certainty. He is getting his shifter changed from column to floor with original period stuff. 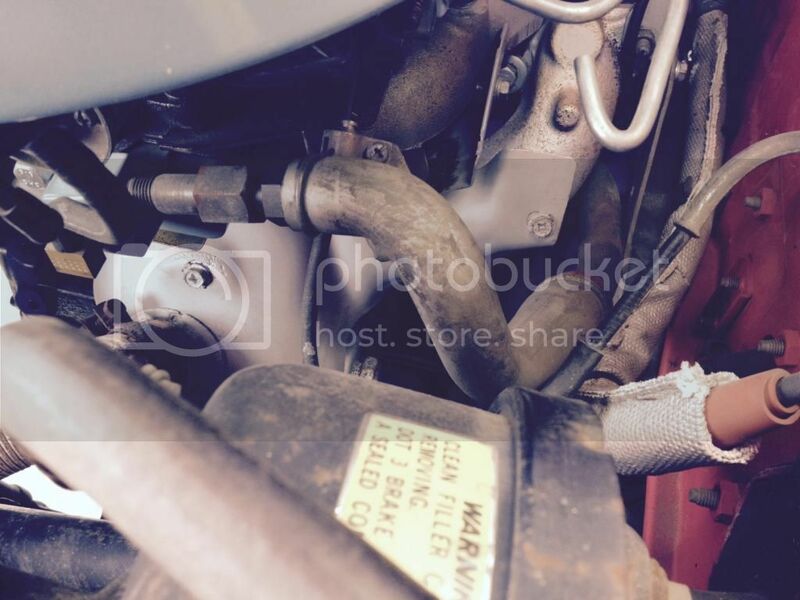 Is there a gasket between the intake manifold (bottom) and exhaust manifold? Also the valve cover is different from E1 motor on a 410 I have. Your cover is held by 2 bolts on top and not around the cover. 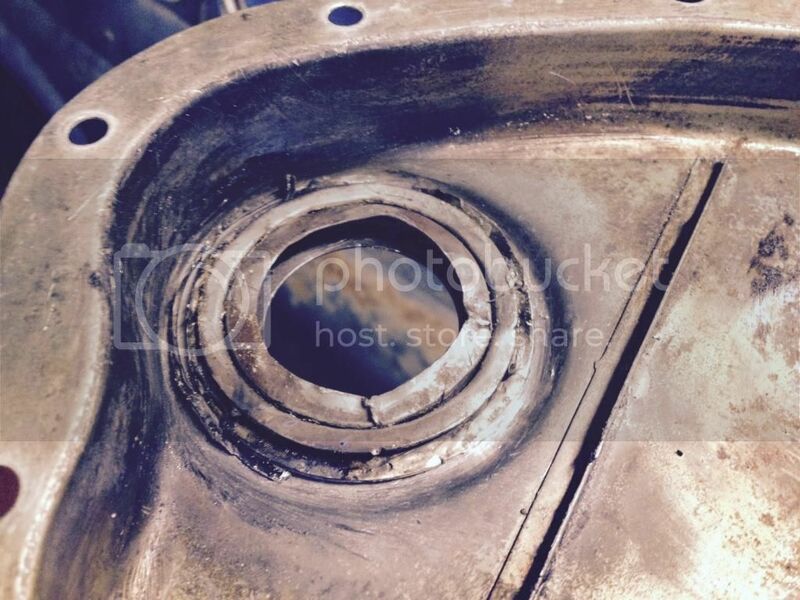 On the 320 E1 there is a hot spot gasket between the intake and exhaust manifolds. 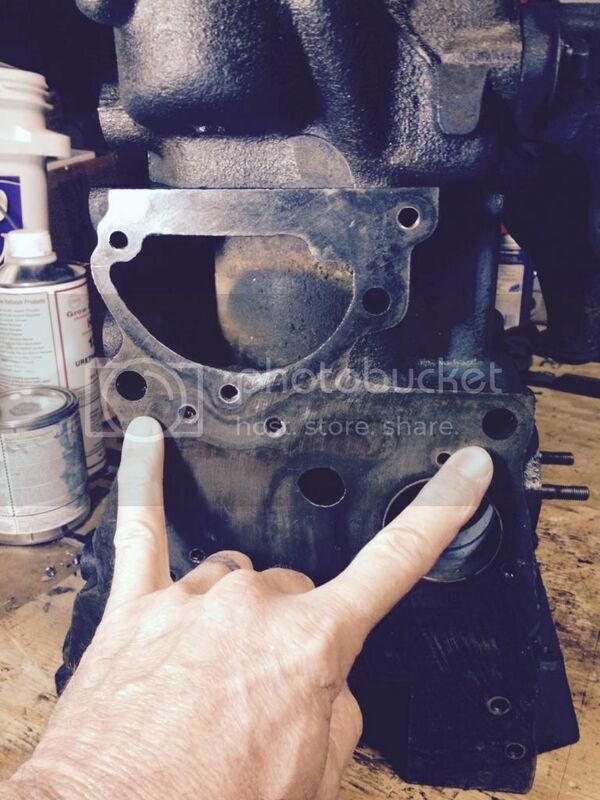 I never really noticed that before, I have a early E1 engine(1962), my valve cover is also held on by 2 bolts going threw the valve cover. 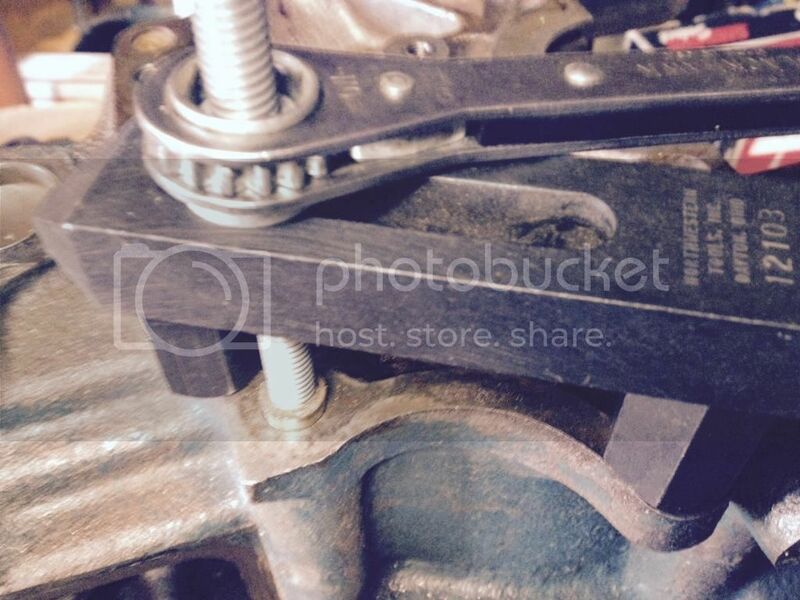 I've seen the rocker covers retained with the two studs off the rockers and with the 5 or 6 bolts around the flange. 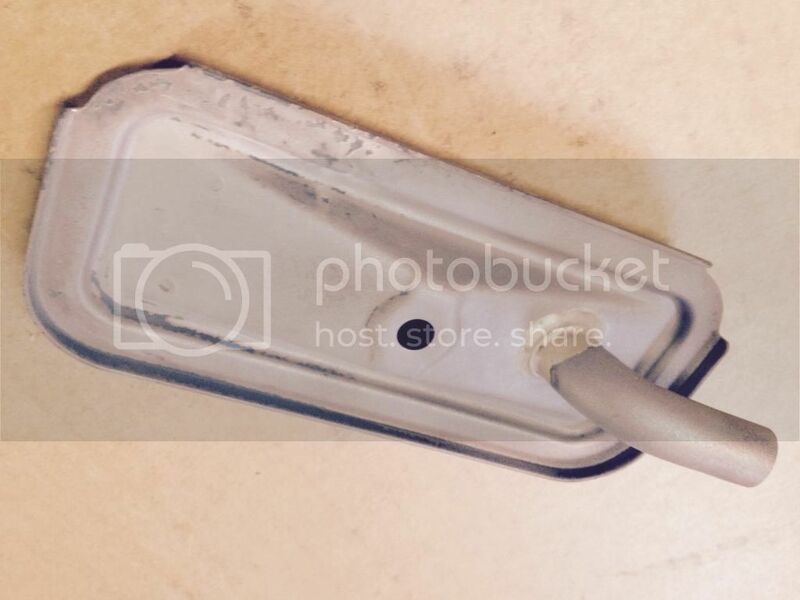 I'm looking into using a B-Series BMC alloy cover on the engine that I'm re-doing. The ones that I've looked at so far are the two-stud style and have an MG logo cast in. The logo can be taken care of. 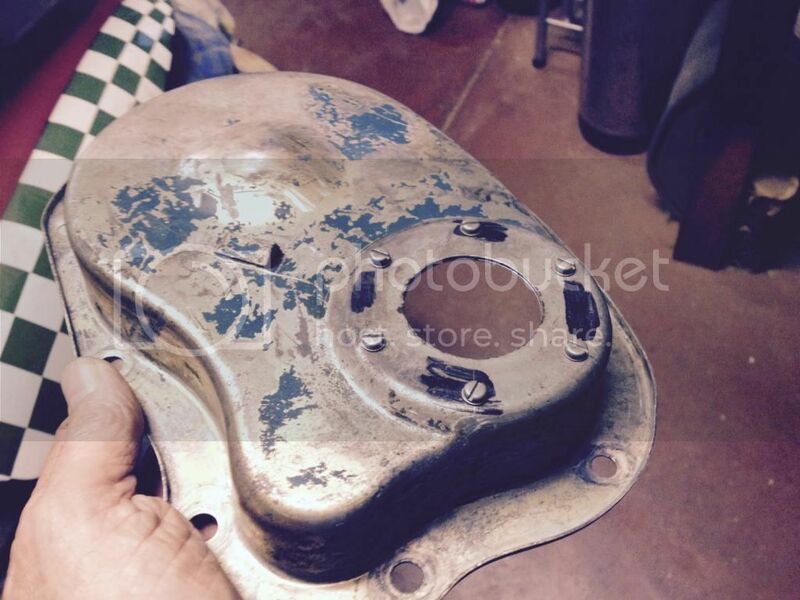 Can you get those gasket individually or part of entire engine gasket kit? 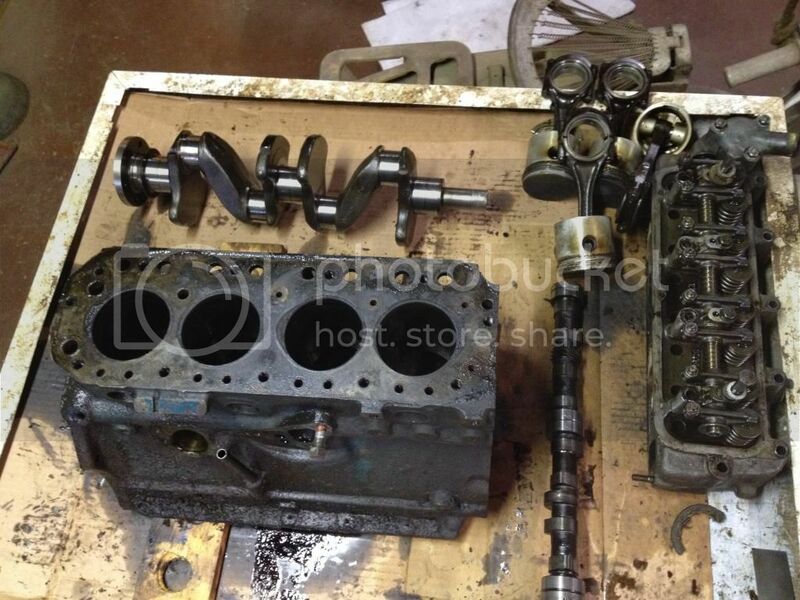 Here's my E1 motor with different valve cover. 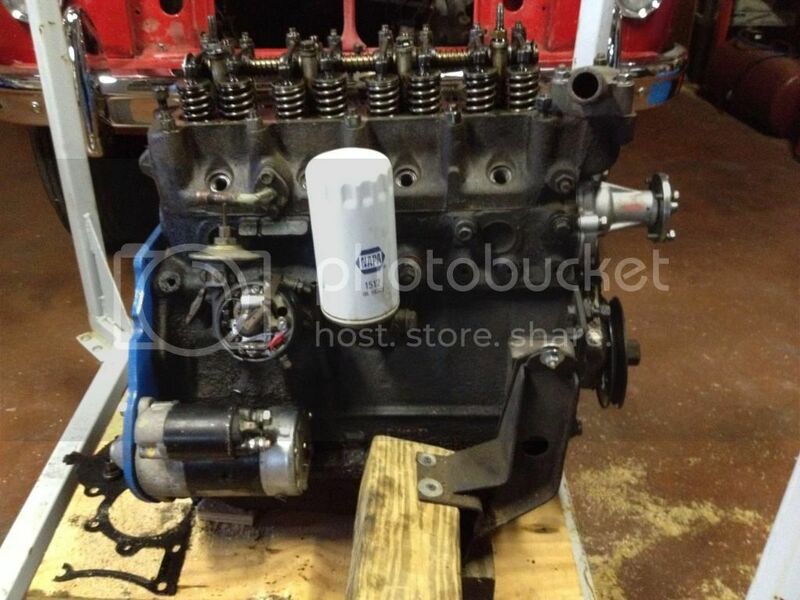 Does it make it a different cylinder head? 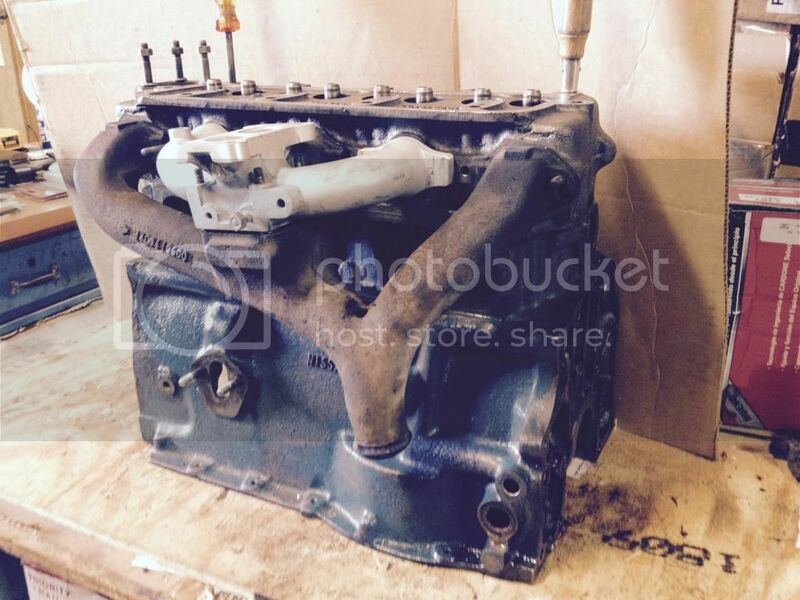 I'm thinking that either head will intercchange on either an E1 or J13 engine. Studded are earlier and with screws is later ?? Mine was the studded cover in photos at top of thread and on the engine with a gasket with holes for screws when I disassembled it. 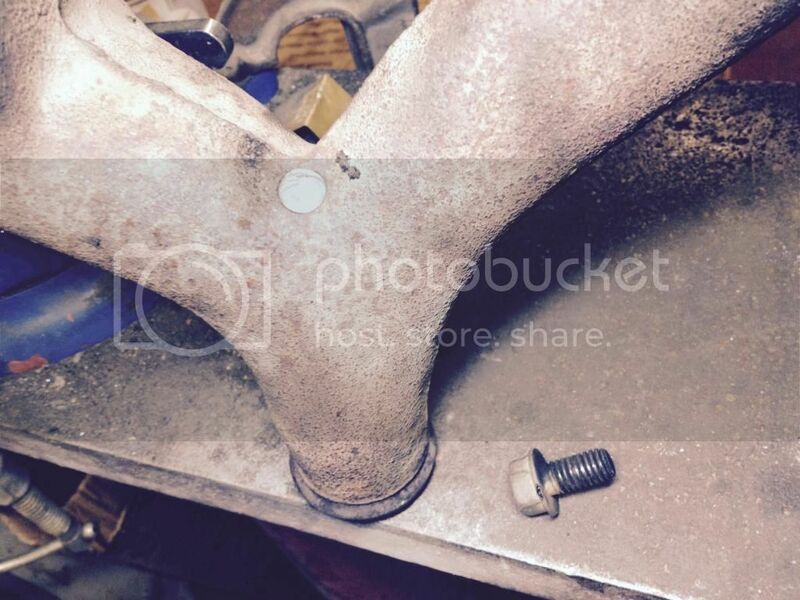 Are you going to use J13 exhaust manifold? At this point, I'm using the original manifolds from the 64 E1. These guys may be able to supply something. I have no idea if the fork truk engines have the same manifolds. A call to ask them won't cost much. Their part guys probably could tell you something over the phone. Maybe someone here has dealt with them, as I have seen them mentioned before. 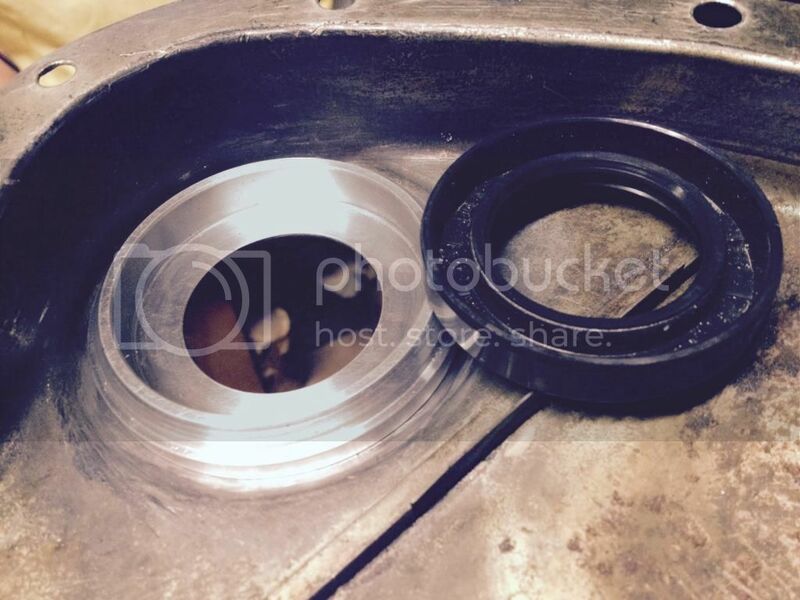 Another option is to snag some proper gasket material from local parts house an cut your own. This gasket in my full overhaul set measures .070 thick. 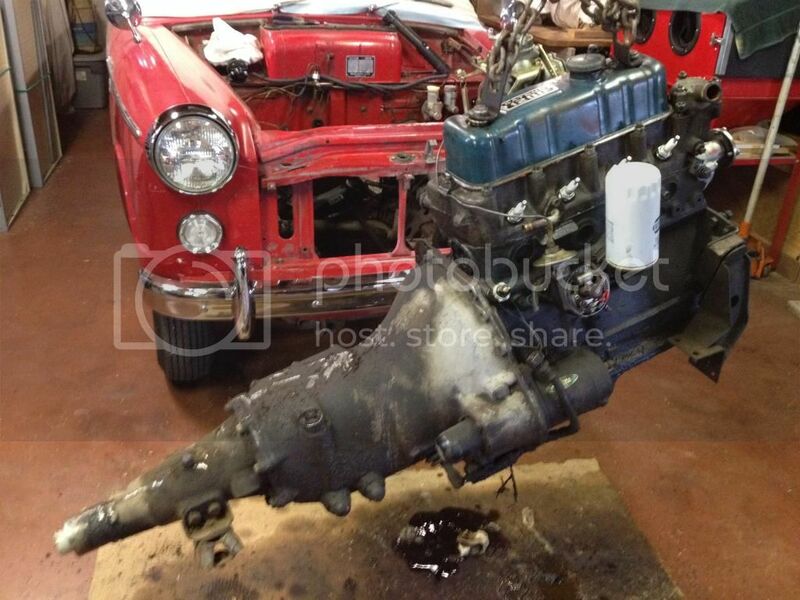 Progress is continuing on the E1 engine rebuild. Got the block and head to the shop last week for machine work. Early next year before i get it back in my shop so I'm knocking out some of the stuff that's gotta get done before I can send a box of stuff out for high temp aluminum/ceramic coating. I got a couple knocked out in the last day or so. Modded the timing cover to get rid of the felt seal and go with the proper modern lip seal. No wonder he pissed a puddle out the front everywhere I parked. Every picture tells a story, don't it ?? Next up is work on the PCV system. I'm getting rid of the road-draft breather tube system and going to a closed PCV system patterned after the one on our 620. 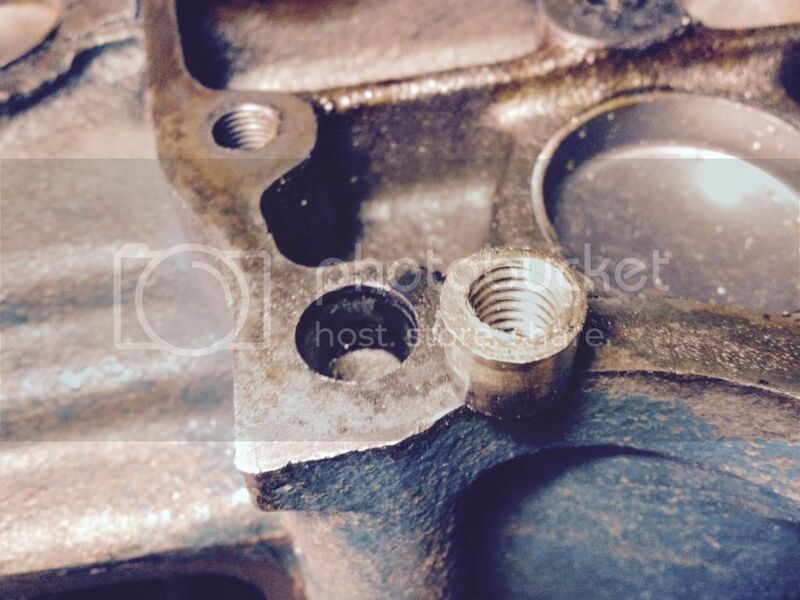 On the 620 the crankcase breathes out through a breather tube that exits under the intake/exhaust manifold unit and heads to the back of the block and turns up and then back forward to enter the intake manifold under the carb base through the PCV valve. The E1 and J13 have two rectangular tappet covers high on the block under the manifolding. The front cover has a tube about 1/2" in diameter that turns downward. 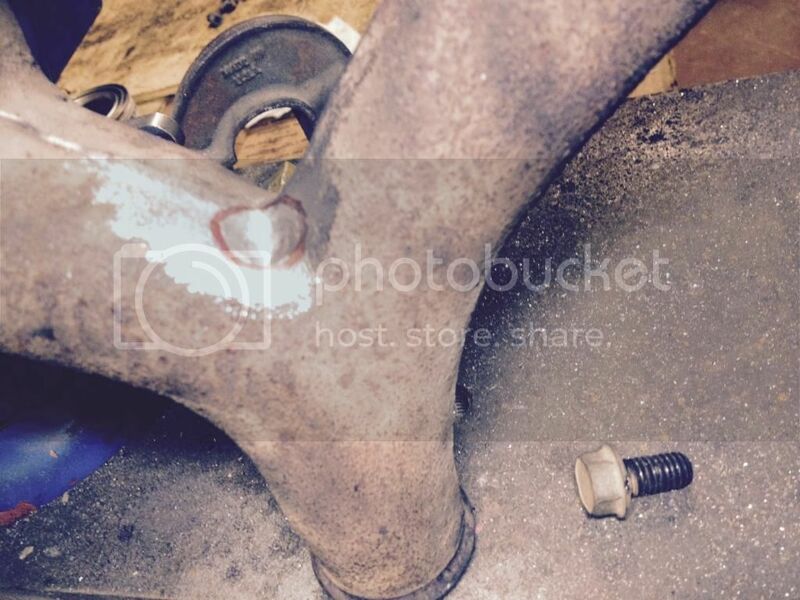 a short hose connects on this and extends just below the bottom of the oil pan. The air flowing under the vehicle while in motion pulls crankcase vapors out and along under the car. I thought about just hooking on the the tappet cover tube and routing it back up to enter the manifold in a fasion similar to the 620. Got to thinking that would create a trap, such as the one under the kitchen sink, whereas any fluid (water and/or oil) could collect and possibly block the action of the system. 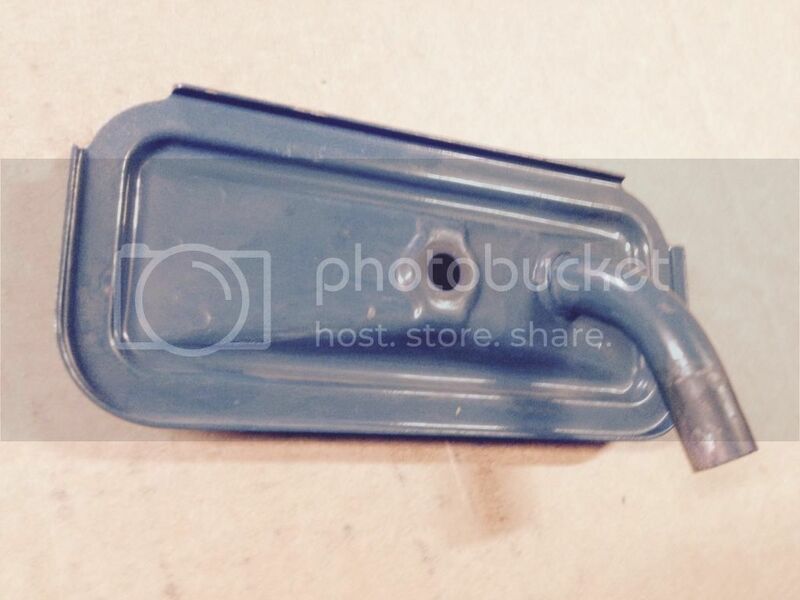 Here's the original tappet cover with down-tube. 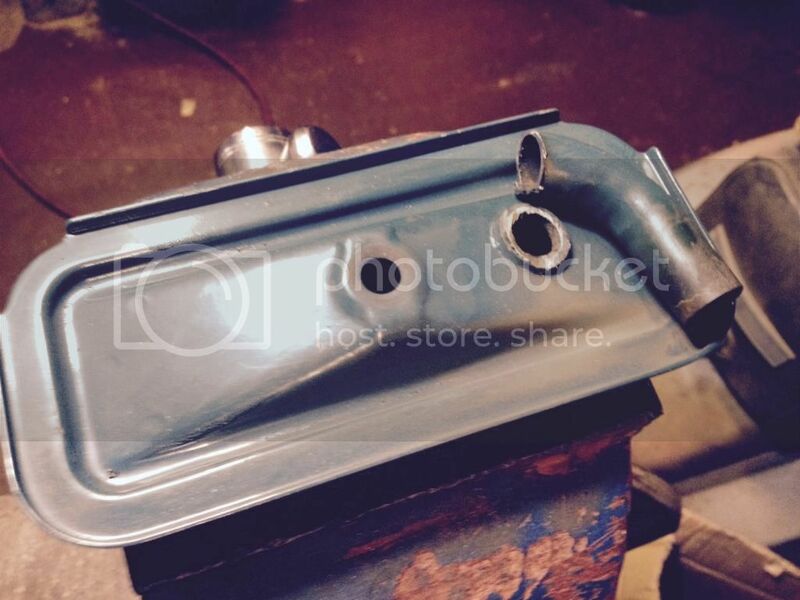 Beautiful fifty year old Datsun blue engine paint. So, break out the die grinder and cut-off wheel. Off with the breather tube just above the pucker that it mounts in. Carbide burr out the residual tube left in the cover. Then to the blast cabinet. I'm kinda a sentimental guy and it sure hurt to blast that beautiful fifty year old Datsun blue, but it'll have to come off anyway for the high-temp coating. Position the tube to point to the back of the engine and cocked up a couple of degrees and out from the engine about five degrees. Slop on a little flux and put the heat and silver solder to her and back to the blast cabinet. 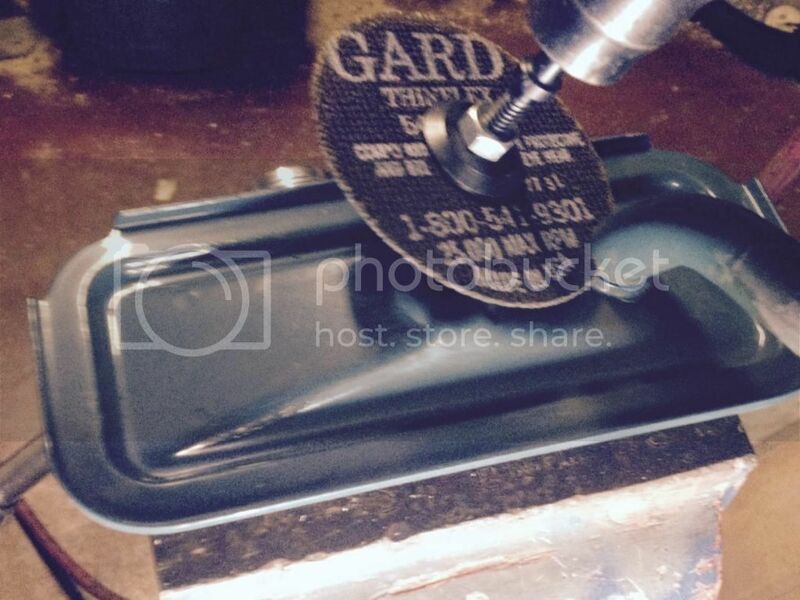 This cover will now go on the back tappet hole and the solid cover will be on the front. The outlet is right at the back of the engine, where I wanted it. Ready for the coating guys and it's on to the the next project. So your going to use a PCV valve, and you going to vent the valve cover to the air filter, correct? Yes sir, Wayno. Gonna plumb the rocker cover into the tube in the rear area of the sidewall of the original air filter housing or whatever I end up using. 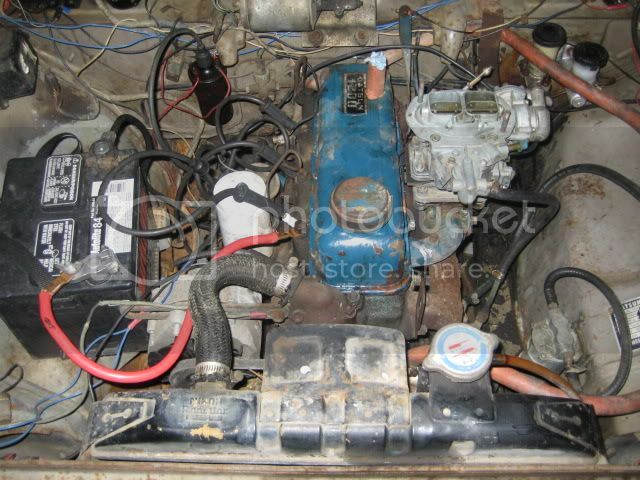 May not be using the original rocker cover but will complete the circuit whatever cover and air cleaner I end with. When you said closed system I wondered, most don't describe it that way. That is the way it should be done, but some don't like to do it that way because they have blow-by, and it gets the airfilter oily, so they just want to block it off, in other wards close that hole up, which will eventually cause the engine seals to start leaking. Looking good so far, love those little 320's, makes my 720 look like a full size! 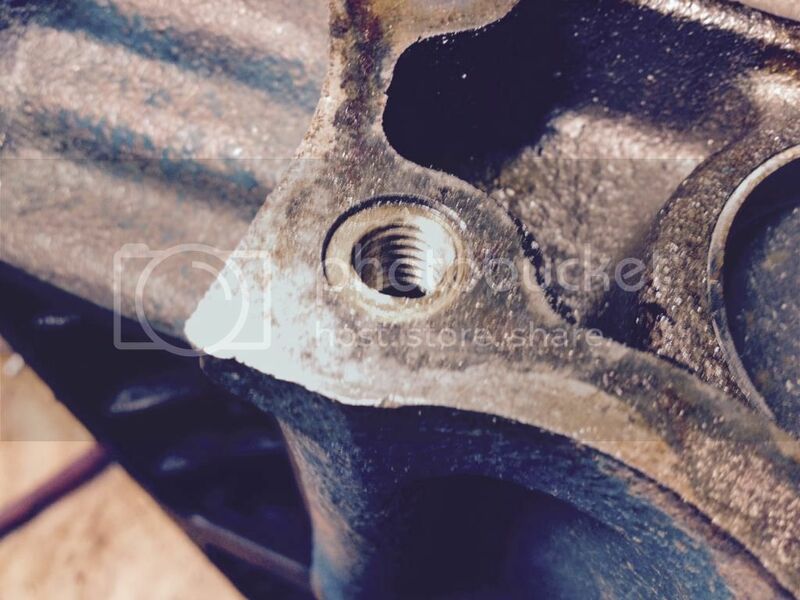 I failed to get a photo of the hole with the bolt removed, but it was basically a 3/8" hole. I used a .397 diameter drill and counterbored the hole about 3/16" deep. Got on the lathe and turned a piece of ductile iron stock with a step to a light press fit and punched it in the hole to about 1/16" below the average surface. 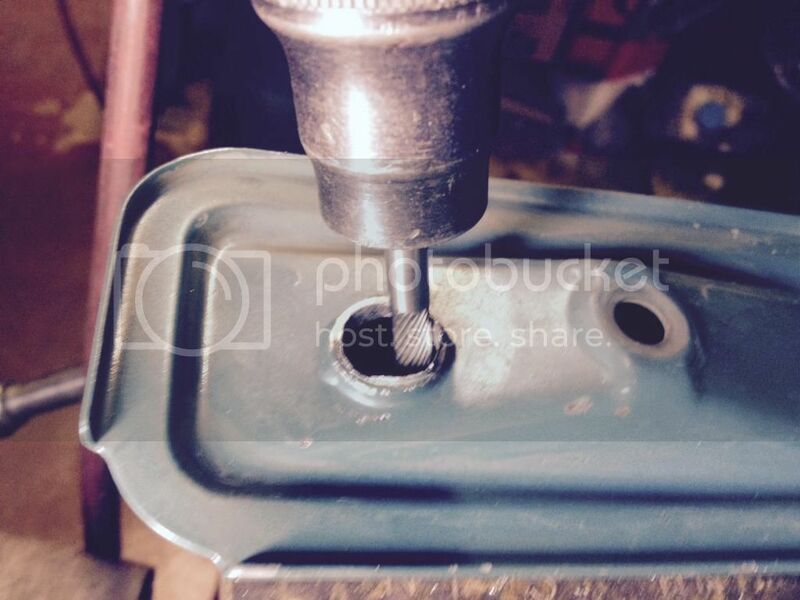 Broke out the carbide burr again and dished out the repair to prep for some nickle rod to seal it off. I'll take it to a real welder as I never really cared much about developing that craft. After welding I'll use the burr to blend the weld and blend the unsightly casting flash and go over the whole manifold and get it ready for high-temp coating. It'll look completely different when it comes back from coating. I'm an idiot but what would the point be in drilling a hole there and plugging it with a bolt? Or did you plug it with the bolt? Either way why drill a hole?